Yesterday, JM and I decided to visit Greenbrier, Arkansas and its environs, to see if we could feel anything related to the earthquakes. We sure did, and we saw some fairly interesting things. Before going to the coordinates of the 2.7 EQ that occurred in the afternoon, we stopped in a field. 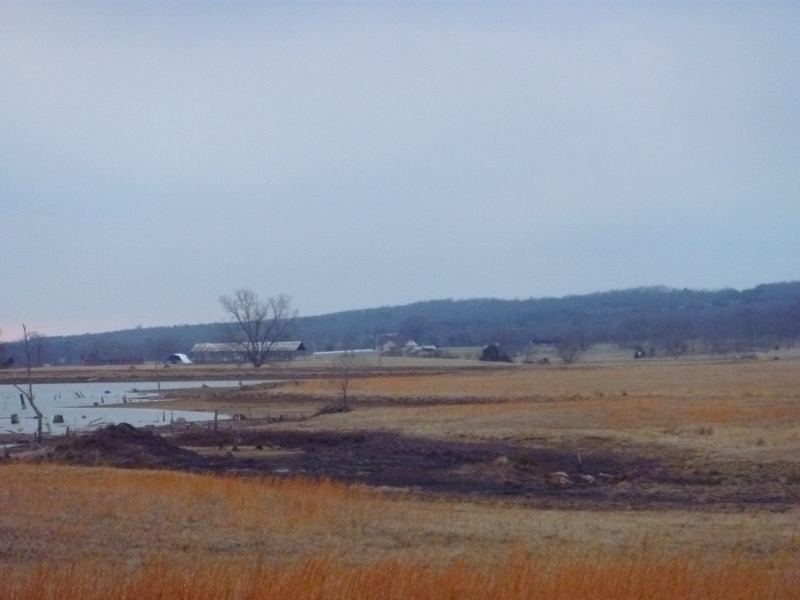 There was a lot of activity in the field…birds going nuts, insects, etc. EMF detector was showing magnetic activity, albeit slight. We used the GPS on JM’s droid to find the location of the 2.7 EQ, which is also the same coordinates as the majority of the earthquakes. As we were looking, we found signs of oil wells. There are a couple of swarms occurring in Arkansas. The first swarm is in Guy. Now we have one in Greenbrier. The swarm in Guy is happening very close to oil wells. 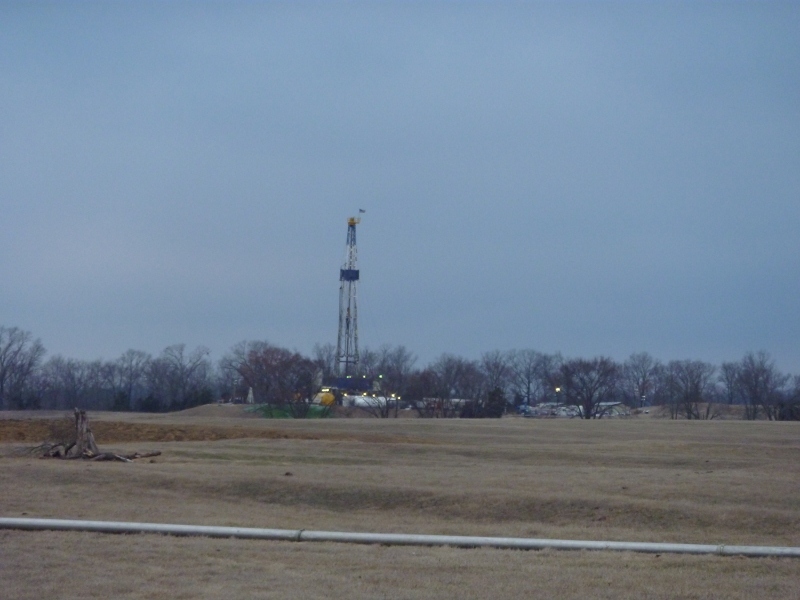 Now we have evidence that the Greenbrier quakes are near oil wells, also. There are many resources online about hydraulic fracturing. I suggest you look them up for yourself to learn about the procedures. Many of the residents of Greenbrier and Guy suspect that this, AKA fracking, is responsible for these earthquakes. 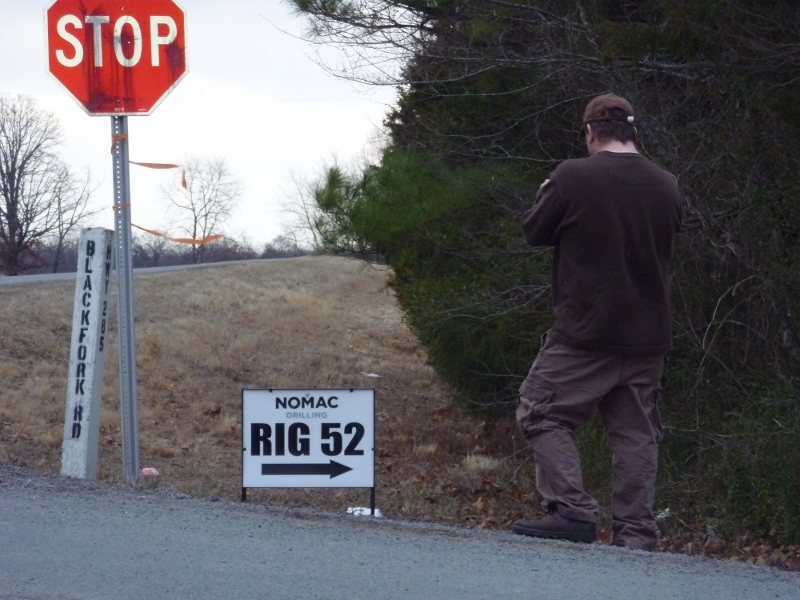 The first thing we noticed on route 282 was a sign for Nomac Drilling Rig 52. Nomac is a subsidiary of Chesapeake Energy, the company doing the majority of the fracking. I do not care much for coincidences. There are several rigs in the vicinity of these earthquakes. Obviously, from what we saw, people are leasing their land to these companies. 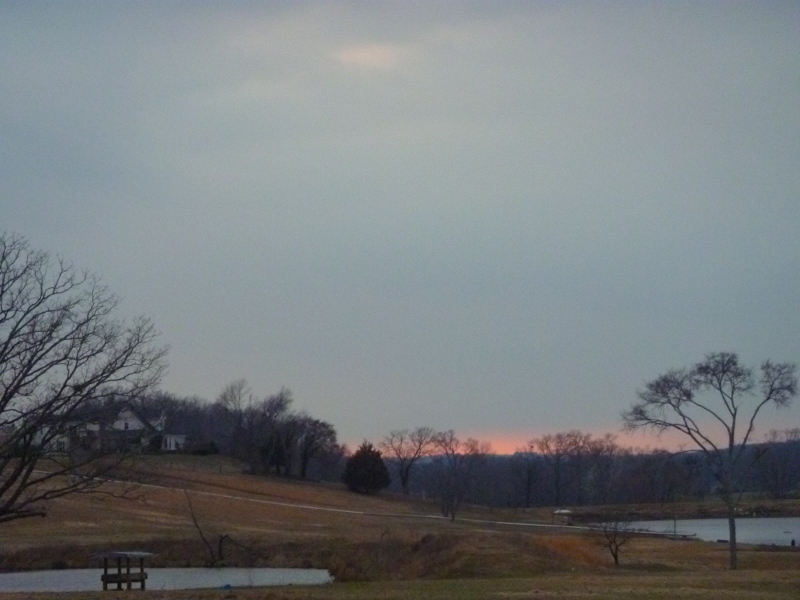 Near one of the rigs, there was a pond of some kind. The water was being siphoned with a pipe to the rig. The water is dissipating rapidly, and there was some sort of black material, like sludge, that did not look natural to the water. This was disgusting. There was an animal nearby that was screaming out in pain. I cannot convey the kind of suffering this animal was going through. It was torture to hear. The animal was in a field nearby. We wanted to get pictures and video of everything, so we tried to get close to the signs. We were being watched very carefully. There was a man in a pickup truck with the lights on, almost warning us to not get close. I am putting up pictures of the signs and the water with the pipe. I will upload the videos I have to youtube shortly. We stopped at a pizza restaurant in Greenbrier proper for food…Joe’s pizza. As we were sitting there, another earthquake occurred. I cannot help but laugh because this earthquake, that everyone in the restaurant felt, was not registered on the USGS site. This happened around 6:45 PM. 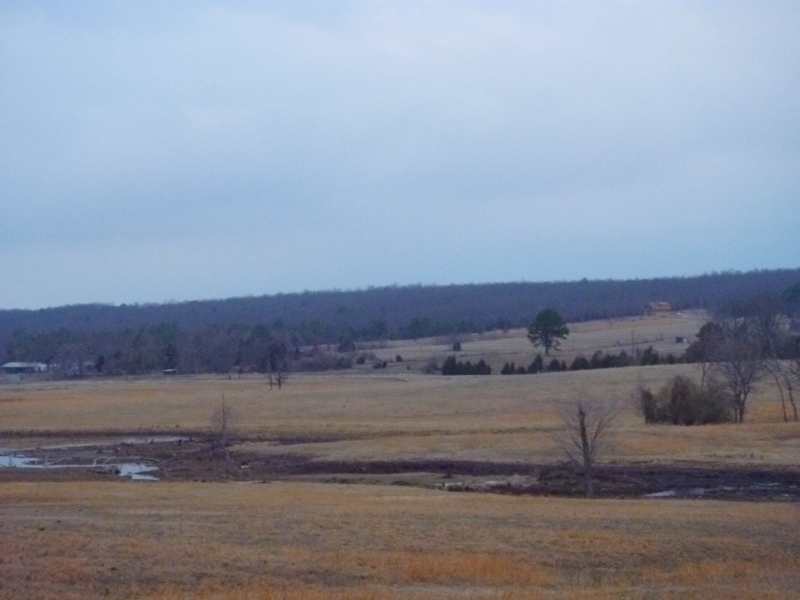 In a previous position, Hitchcock led negotiations in which the agency reached a contract with Chesapeake Energy Corp. for natural gas rights on commission land. The deal brought $32 million to the agency, with royalties to follow. The natural gas agreement was the focus of a lawsuit that claimed the proceeds should have gone to state general revenue, not to Game and Fish coffers. The suit was dismissed but is under appeal. Hitchcock also led the negotiation of the commission’s acquisition of a 16,000-acre conservation easement at Moro Big Pine Natural Area Wildlife Management Area. 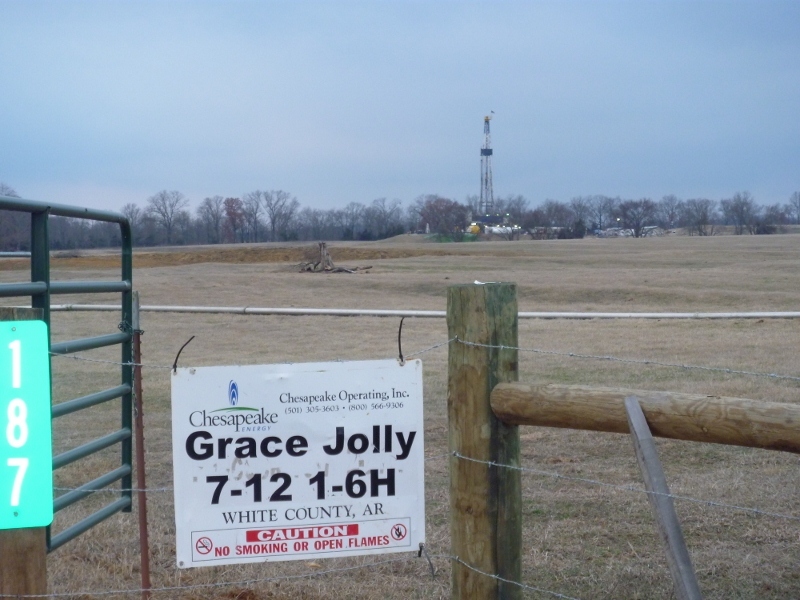 STOP THE FRACKING IN ARKANSAS!!! JM and I are fairly convinced that this is why we are getting these earthquakes. Money, greed, idiocy…as I write this, the earthquakes continue. Why is nothing being done? Does anybody care? Chesapeake, go to hell. Please share this post as much as you can. People need to know what is going on. 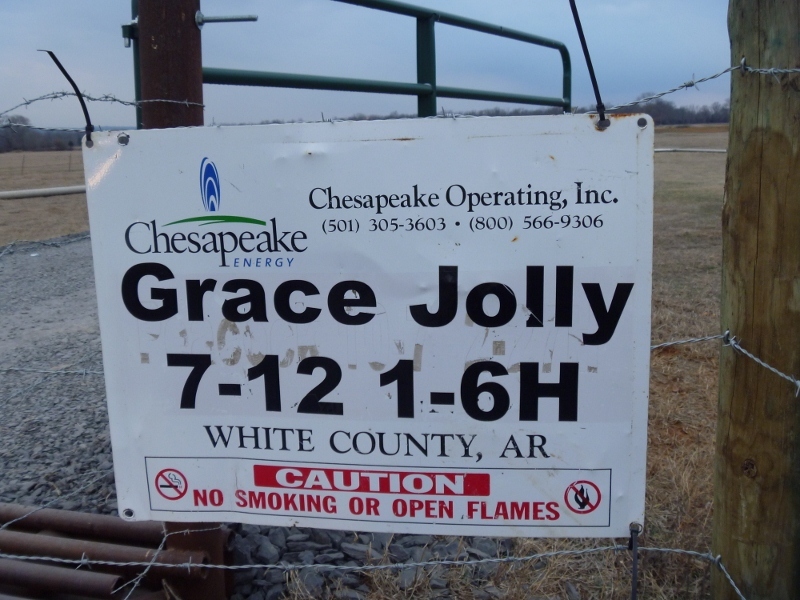 This entry was posted in Conspiracy, Essays/Poetry/Thoughts and tagged Arkansas, Chesapeake, Earthquake, earthquakes, fracking, greenbrier, guy, nomac. That strange blackness looks like mud. Any and all further updates to this situation is much appreciated. Keep up the good work. Great job I got involved in the Arkansas swarm then the fracking issue by being concerned with the NMF & all the attention it’s been getting over the last 6 months by everyone . I have been following a thread at ATS on this with many great people that are also concerned about what the gas & oil company are doing to the land & wanted to invite you & everyone concerned to join in if you are not already a part of it . I write on a site that has a small group of earthquake watchers. When this most recent swarm began, I felt compelled to start a forum to draw attentiong to the problem. It’s full of links and many who’ve joined the conversation have become outraged and want to help. We just stated a blog to coordinate our research. And we got a Friends of Arkansas FaceBook page. Please sign up and read the reseach. There’s more to the story. The real culprit is the injection wells used for disposing of the waste water. We may be new and a small group at the moment. But we’re hoping to come to the aid of Arkansans who are experiencing their world being shaken and destroyed. Great post! Wonderful to connect! More people are needed to rally!